Archaeological fieldwork was initiated during the directorship of Ernest Gardner who had gained experience in Egypt with Flinders Petrie at Naukratis. 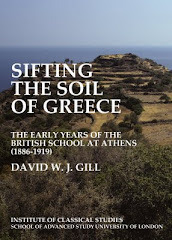 The first major project (from 1887) was on the island of Cyprus, supported by the Society for the Promotion of Hellenic Studies (Cyprus Exploration Fund). The first excavation on mainland Greece was at Megalopolis. This proved to be controversial over the interpretation of the theatre. 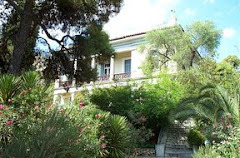 Smaller projects were then attempted, first at Aegosthena in 1893, directed by E.F. Benson. The following year A.G. Bather and V.W. 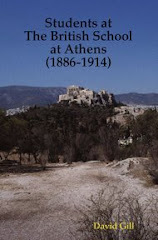 Yorke explored two sites, Abae and Hyampolis, in Phocis. The financial position did not allow further field projects in the session 1894/95. However, a preliminary excavation at Alexandria was made in April 1895 by David G. Hogarth with assistance from two BSA students, E.F. Benson and Edwyn Robert Bevan. A regional survey of Aetolia was conducted in 1892 and 1893 by W.J. Woodhouse (who had gained experience at Megalopolis). Such work was in marked contrast to the other Schools in Greece: for example, the French at Delphi and on Delos, the Americans at the Argive Heraion, and the Germans in Athens itself.